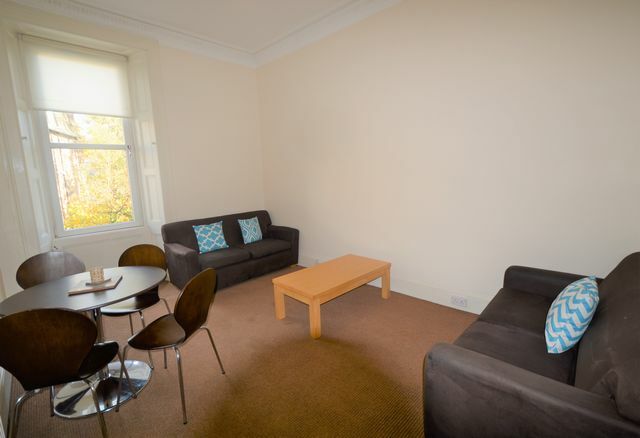 Fantastic 4 bedroom HMO (2 doubles , 2 singles) located close to Murrayfield and a 5 minute walk to Haymarket train station. The property comprises a newly installed kitchen, with all appliances and good range of units. The lounge has great dimensions, with modern furniture and front outlook. The bedrooms are all kitted out the same, with wardrobe, desk and drawers, fresh paintwork and carpets. There is a bathroom with shower over bath. The property has GCH, double glazing and a secure entry. The back garden is shared and well maintained. Local stores are close by. A great standard of property. EPC: C. Landlord Reg: 210842/230/20511.